The new Porsche 911 Carrera Coupe caused some controversy long before it was launched, thanks to the introduction of turbochargers. Normal 911 models have never used turbochargers before, which means that Porsche have forsaken natural aspiration for the first time in 52 years. Along with smaller engines, you can see why Porsche buyers were up in arms. There is one major benefit from this surprising development: The car is now much more efficient and economical than ever before. And despite the shrunken, turbocharged engines, it still performs like you want it too, and it also handles better than ever. The car is also as fast as it’s ever been, and if you’re on the lookout for a sports car, it’s well worth a test drive. OSV takes a closer look with our Porsche 911 Carrera Coupe review. If you were worried that the move to turbocharging would weaken the driving experience, you don’t need to worry anymore. The 911 Coupe has been around way too long for Porsche to muck things up now, and while theoretically, an engine in the rear should dampen handling, you have to give credit where it’s due to a brand that has managed to develop a machine that is balanced, agile and rapid. The base-level variant and the Carrera S are both powered by a twin-turbocharged 3.0-litre flat-6 petrol unit, which develops 365 and 414bhp. 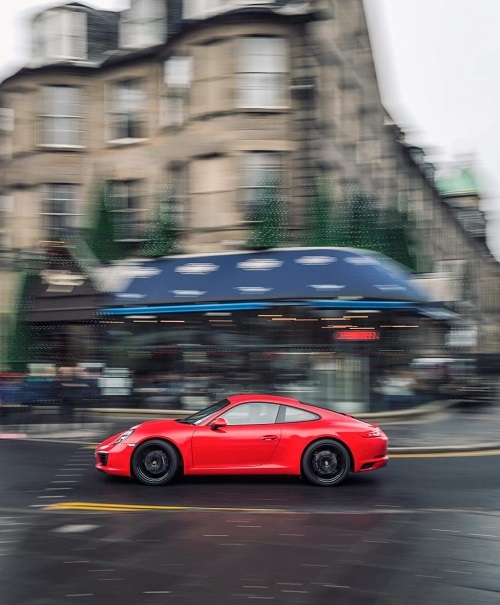 Opt for the entry-level model and you can cover the rest to 62mph in 4.6 seconds, while the faster Carrera S shaves 0.3 seconds off that time. Fit the latter with a PDK automatic ‘box, and you can romp away even faster. Whichever variant you opt for, you’ll benefit from the brand’s intelligent Active Stability Management system. This system, which comes as standard, makes your suspension softer or firmer. If you’re looking to let off some steam on the track, it will firm things up, while if you’re just strolling along the motorway it will soften things up. Plump for the Carrera GTS Coupe and your car will be powered by a 3.8-litre flat 6 that can develop 424bhp, and which is shared with the Cayman GT4. It rockets you from rest to 62mph before maxing out at 190mph. There is also a GT3 RS model available, which covers the 0-62mph dash in 3.3 seconds, as all as a Turbo S model, which covers the same distance in just 3.1 seconds. Numbers aside, this car is an exceptional handler that is backed up by accurate and responsive steering. Although its unique engine thrum has been watered down slightly by the turbochargers, it still emits an impressive – if not spine-tingling – note. And although the 4 and 4S models are more adept in rougher conditions, they will cost you more money. The trademark 5-dial layout is still present, and this time comes with a centrally mounted rev counter that is impressive in its size. The cabin is overall slick and modern, and build quality is of a very high standard. The driving position is low, but surprisingly comfortable and accommodating. The major controls are nicely laid out and within easy reach, while you’ll find most of the switchgear on the wide transmission tunnel. The touchscreen infotainment system is standard across the range, and benefits from a few updates. It’s easier to use, too; last time around it was clunky and painful to use, but it’s now more intuitive, as well as brighter. It also comes with Apple CarPlay installed. The car is very comfortable out on the motorway, and it’s also really refined. You can cruise in seventh gear and be able to hear your passenger even at whisper-level. Even the entry-level model is comfortable and refined, thanks to adaptive dampers that come as standard. It’s also really practical for this type of car, and Porsche have done well to make the most out of its compact size and coupe layout. The cabin is roomy, while big windows make for good visibility. Oddly enough, you have to pay more than the listing price for a rear wiper. The rear seats are still not going to be spacious enough for two adults, but two kids should be comfortable enough. Otherwise, they make for extra luggage space. The glovebox is adequately sized, but the door bins are too slim for our liking. The boot, as always, is found under the bonnet. It measures 145-litres, but although it’s small, it is at least pretty deep. Opt for four-wheel drive, though, and you will shave 25-litres off your boot. Standard equipment across the range is good, with even the entry-level model coming with LED rear light, bi-xenon headlights, twin-zone climate control, leather upholstery, 19” alloys, and sports seats. 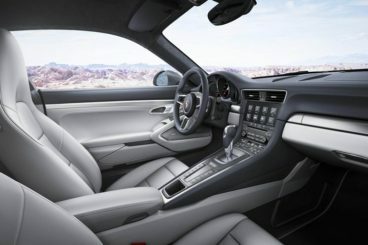 The Porsche S model includes 20” alloys, while the Turbo line adds four-wheel drive, a Bose surround sound stereo system, a sports steering wheel and 20” Turbo alloys. The Turbo S treats you to ceramic breaks, cruise control and rear parking assistance, while the GT3 is marked out by 20” GT3 alloys, rear-wheel drive, and an adjustable chassis. There is a GT3 RS variant, and this comes with carbon-fibre buck seats, as well as more magnesium to save weight. The options list is long and extensive, and it can be easy to overspend. Extras include different alloy designs and alternative interior materials and colours. Prices for the new car start out from around £76,000 and rise to in excess of £145,000 for the range-topping Turbo S 2dr. If you want to lease it, you’ll be looking at paying somewhere between £1,300 and £4,000 + VAT per month. Running costs were never going to be cheap for a performance-oriented sports car like this, but the 911 Coupe actually fares quite well when compared to its rivals. For example, the entry-level model is capable of returning 34mpg while costing £265 per year in road tax, which on paper is a good deal for a car this powerful. The Carrera 4 returns 32.5mpg, which is also impressive. Even the rapid 911 Turbo is good for 31mpg. One of the reasons for the improved efficiency is the turbochargers. Porsche have also shrunk the size of the engines, and they’ve also fitted their PDK automatic ‘boxes, which further improve running costs. The GT3, however, will cost you a bit of an arm and a leg, and can only return around 22.8mpg, while costing you £505 per year in road tax. The power outputs are varied, but all models will sit in the insurance group 50. Why? Probably because insurance companies know you’re going to push the car to its limits, whichever model you go for. Each one comes locked and loaded with sensational power, after all. A performance-oriented sports car such as this is always going to see you at the fuel pumps fairly frequently, but compared to rivals in this class, such as the Jaguar F-Type and the Aston Martin V8 Vantage, the 911 Coupe looks almost cheap to run. Is that stretching things? Maybe. But maybe not. The GT3 and GT3 RS aside, all the models in the range can achieve fuel economy returns over 30mpg, which would have been unheard of a few years ago. It’s impressive, for what it is. It’s not often the case that you get strong performance right across the range, but Porsche have really delivered with this one. Despite the addition of turbochargers, the new cars are all quicker than before, and they’re all pleasingly performative. One reason for this is the blanket of power right across the rev range. Even at lower revs, you get plenty of performance. The steering setup has been tweaked so that the new Carrera Coupe is now more comfortable than its predecessor. It’s really refined, too. This car is easily one of the most expensive in the range, and will cost you considerably more than the BMW 6 Series Coupe. Moreover, the list of options is both exciting and extensive, and could easily see your bill sky rocket quicker than the GT3 can get from 0-62. The ride could be a lot better, were it not for the massive 20” alloys that actually have a damaging effect on ride quality. They come as standard from the S model onwards, but we get the feeling that they’re not even all that necessary. They will also have an effect on efficiency, too. The Porsche 911 Carrera Coupe is going to cost you a fair amount of cash. For this reason, it’s always a good idea to do a bit of shopping around before making your final decision. 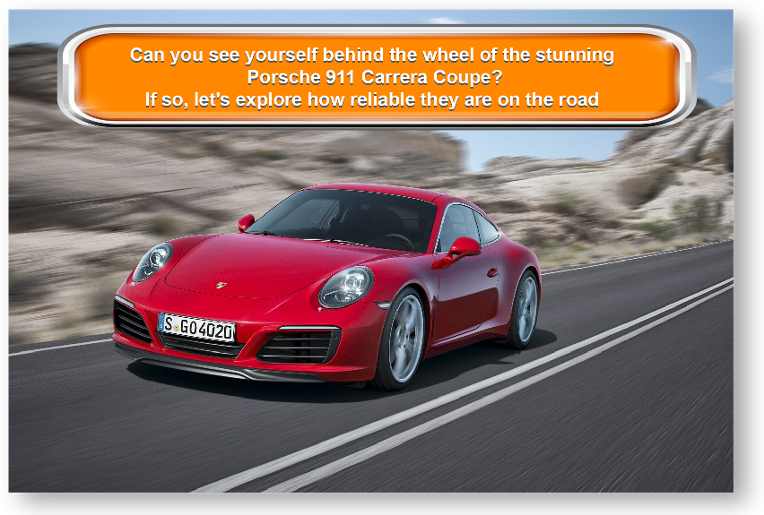 Let’s see how it measures against its closest rivals in the comparison section of our Porsche 911 Carrera Coupe review. The Audi R8 Coupe continues to be one of the most desirable cars on our roads today. It might not have quite the same prestige and heritage of the Porsche, but Audi have crafted a car that is fast, powerful, and which looks the business. The second generation R8 Coupe is full of character, has great grip and excellent handling. The 5.2-litre V10 engine is available in two guises, starting with the 533bhp variant and ending with the colossal 602bhp variant. Both are powerful and deliver lots of snarl and aggression on the road. The former covers the 0-62mph sprint in 3.5 seconds, while the latter covers it in 3.2 seconds. Dizzying numbers that outdo the 911. It isn’t cheap to run, though. 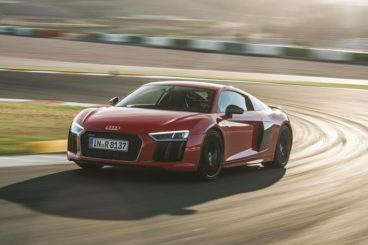 While its gorgeous V10 engine is state of the art, it can only claim returns of around 24.8mpg, which will make it more expensive than the Porsche. CO2 emissions are high, and will set you back around £515 per year in road tax. Audi say they’re working on an all-electronic version, and hope it will do 300 miles on the back of one charge. The interior is of typically high quality, with the sports seats and brushed aluminium and carbon-fibre particular highlights. Meanwhile, the gear lever looks as though it was lifted from an aircraft. The Virtual Cockpit system in the dash is another standout feature. Practicality is poor, though. It’s a two-seater, nothing more, while the boot – which found at the nose – is tiny. Aston Martin have marketed the Vantage as their base-level car. For a brand that has gone bankrupt more times than we care to imagine, a £95,000 hand-built “base-level” car is really something. If you’re looking for something sports car focused, this might be for you. A barnstorming V8 4.7-litre petrol unit that is good for 420bhp guns you from rest to 62mph in 4.9 seconds, and while this isn’t as quick as the Porsche at its best, you can opt for the Vantage S model and trim 0.3 seconds off the time. True, the Porsche has better, newer high-performance units in its arsenal, but whereas Porsche have watered down the sound of its engine, Aston Martin has done everything in their power to glorify theirs. Push the engine hard and it sounds amazing, while the performance is top-notch. Unsurprisingly, the Vantage Coupe is not cheap to run, and can only achieve returns of around 20.5mpg. That’s a far cry from what the improved 911’s engines can achieve. Moreover, 20.5mpg is only going to be possible if you don’t explore the limits of the V8 engine. It’s also going to cost a lot to tax – £505 per year, and it sits in the same insurance group as the 911 Carrera Coupe. Ten years ago, the Vantage Coupe’s interior was the best on the market. In 2016, it’s been trumped by the Jaguar F-Type, while the Porsche runs it close. The interior here is now looking dated, but its selling point continues to be the fact that each model is hand-built. However, the quality of the interiors offered by rivals now make this cabin look its age – hand-built or not, it’s time for a rethink. 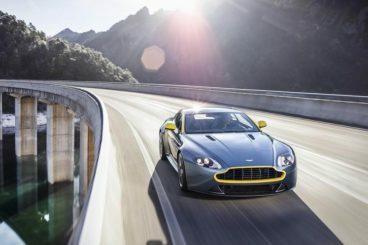 The Aston Martin Vantage Coupe is decently practical, and is a better everyday car than the 911. Its boot is very usable, thanks to a hatchback-esque boot lid, and the seats are comfortable and offer plenty of leg and headroom. The 911 is one of the longest-running sports cars in existence, so you know you’re buying quality. The new model is quicker and more composed before, but perhaps the biggest improvement is in terms of efficiency – this car is now easily one of the cheapest to run in this class. It’s lost none of its performance, and continues to keep up with – and even outdo – many of its rivals. It’s highly priced, but if you can afford it the new Porsche 911 Carrera Coupe is hugely recommended. Looking For A Price For The Porsche 911 Carrera Coupe? Fill out the form below with your details, and one of our highly qualified vehicle specialists will be in contact within 24 hours.